From 1991 to November 2009 worked at Centro Ricerche Fiat (CRF) where she gave rise, did grow and led Cognitive Ergonomics activities. From December 2009 to June 2012 she worked at FCA, where she was Head of the HMI Design Group and had responsibility of leading ergonomic methodologies and innovation projects. Since July 2012 she is Project Manager for Human Machine Interaction activities both at internal and European (e.g. FOT-Net 2, ecoDriver) level at CRF. Since 1999 she is a Certified European Ergonomist (Eur.Erg.) and she has been teaching university courses on User- Centered Design and Human Machine Interaction. 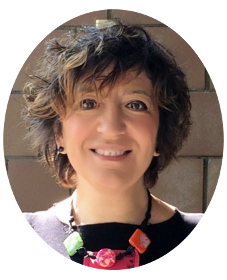 Antonella has been elected President of the Human Factors and Ergonomics Society Europe Chapter for the 3-year period 2015-2017. 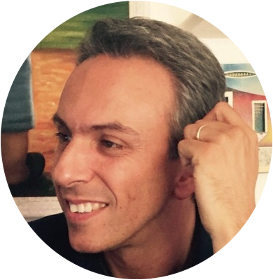 He is graduated in Electronic Engineering from Politecnico diTorino; after a period in Olivetti he joined Centro Ricerche Fiat in 1998. He is experienced in the development and application of Virtual Reality and Driving Simulation systems. Other relevant skills are related to the development of tools for the simulation of human-vehicle interaction and their application to Physical and Cognitive Ergonomics. He is presently with the HMI and Ergonomics at Centro Ricerche Fiat.